Year on year, we see that it’s becoming more common for bolder displays of Christmas lights outside of homes around the suburbs of Perth. As the festive season has crept up on us quickly this year, we thought we’d put together this brief guide to installing your lights safely. As the trend for bigger Christmas light displays increases in Perth, there is more potential for nasty accidents, so it’s always better to be safe than sorry. Please remember that any faulty electrics can be deadly, so it is vital that you don’t cut any corners when it comes to safety. Hopefully, by following this brief ‘do’ and ‘don’t’ list we’ve put together, this will ensure you’re still able to enjoy the festivities to their fullest this year, but also keeping you and your family safe. As early as October, you’ll probably see a few ‘pop-up’ Christmas stores appear around the city. This gives you a couple of months to choose the correct lights that you want for your home. These kinds of shops will also sell other Christmas display goodies, such as reindeer structures and Santa statues that you may wish to include in your Christmas display design. Other retailers will also stock Christmas lights, such as supermarkets, hardware stores, and big box home stores. Shop around to see what the best value is for your money, although you’ll probably find that the pop-up stores offer the best selection and lowest pricing. Whilst you’re shopping around for lights, look out for some of the other accessories you might need, such as weatherproof cable boxes, extension leads and cable clips. You’ll certainly need some of these things if your aim is to create an exterior lights display. You may not know exactly what you need, so you can ask the shop staff to help you, or talk to us and we can best advise you about outdoor electrical set-ups. 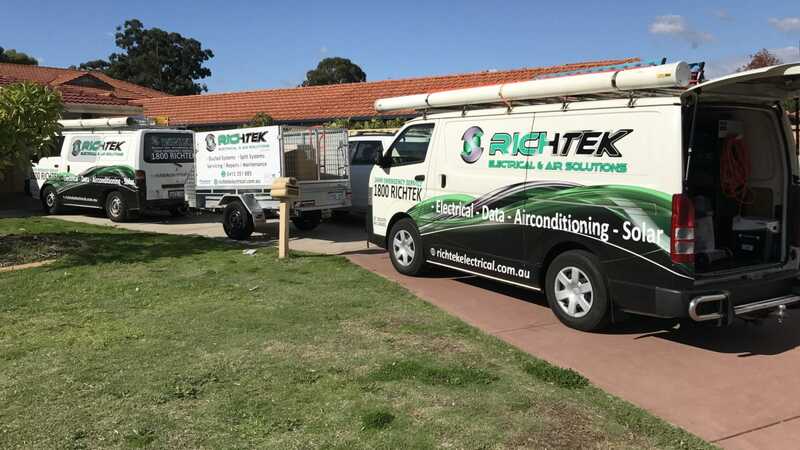 We’re one of the most trusted electricians in Perth and will be glad to ensure your lights are rigged safely. The first step in installing your light display is planning it all out properly. You may have some unique ideas to make your lights display stand out this Christmas, so get your ideas together, make a design, and then stick to it. Once you have your design planned out, list all the types of lights and accessories you’ll need and then create a budget. If your shopping list is more than your budget allows, you may have to minimise some aspects of the design, whilst still sticking with the overall look of the display. If you are going for an outside display, then you’ll need the correct safety precautions, such as all-weather cable boxes and rugged extension leads. You’ll also need to consider how and when the lights are switched on and off. The most basic way of controlling the lights is to use a plug-in timer from an internal power point so that it is done automatically. You can set the timer so that it will switch the lights on and off for you, but for this to happen safely you must also ensure all the wiring coming from your house to the lights has been installed correctly. It is crucial that you buy lights that are compliant with Australian standards. Whilst lights bought at a Christmas store will probably adhere to these standards, you should always check first before purchasing. The lights should have C-tick and/or RCM mark, which means they have been approved by the Australian electrical standard. If you don’t buy these safety-standard compliant lights, you could be risking someone’s life with electrocution. Non-compliant lights may be a cheaper option, but don’t forget that dealing with electricity is dangerous, so total care must be taken at all times when buying and installing Christmas lights. Your outside lights will be exposed to the elements, so always ensure your weatherproofing is legit and designed to do the job. Transformers require protection from the weather, and you can buy weatherproof boxes for a reasonable price, so it makes sense not to try to cut corners with any makeshift devices. As well as ensuring your transformers are protected from the elements, you must also see that you use good-quality extension leads. Without them, it could lead to a dangerous accident. You can check the quality of the extension cable before plugging it in by running your hand along the cable to see that it is all solid and in one piece. If the cable has been damaged, then you should replace it with another one. Once you know the extension leads are intact, you should make sure they do not present a hazard where people might trip over them, or they get driven over by cars. Extension cables should be well out of the way; otherwise, they become a hazard. If you do find that your extension cables are getting in the way, then you could consider installing some external weatherproof power points as another, safer option. An electrician in Perth will be able to advise you about putting in some external power points, and it is a worthwhile job to have done if you want to ensure your Christmas lights are installed in a safer way than using extension cables from indoors. Finally, you should check all the wiring and bulbs of the Christmas lights themselves. If anything is faulty, then you’ll need to replace it. 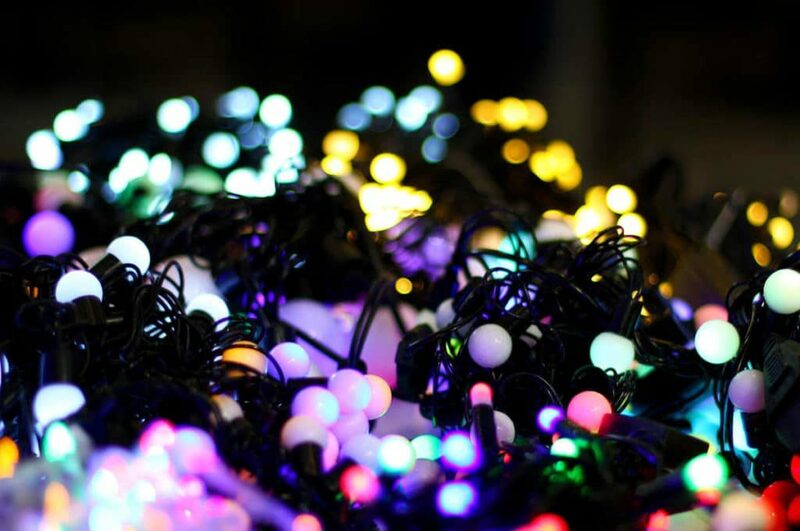 We generally advise people not to try and fix faulty Christmas lights because the electrical arrangement is complicated and can lead to unnecessary accidents. Instead, if any of your Christmas lights are damaged, simply throw them out and buy new ones. Christmas is the time to be jolly, and from all of us at Richtek Electrical and Air Solutions, we wish you to have a very happy Christmas, but please stay safe. To speak with us about any of your electrical concerns this Christmas, call now on (08) 9375 3926, and we’d be delighted to advise you.